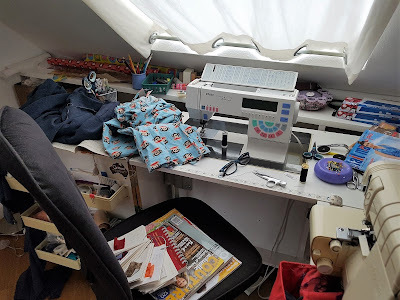 This is the state of my sewing at the moment - an almost finished Burda top (#121 from 9/2010), a sewing repair to my husband's sleep pants, and a growing mess. The growing mess is because I'm moving soon. Our European adventure is going to end and we're about to start a new one back in the U.S., which I'm happy about because it means a really great job for me. Of course this will mean less time to spend on all my hobbies, but this job will be worth it and was an opportunity that would probably not come around again. I hope to finish the top and the repair but other than that I don't think I should start any other sewing projects and should instead focus on getting stuff ready to move. We will have our stuff packed for us, but not all of it will be going back to the U.S. - like most of the IKEA furniture we bought to furnish our apartment here - so I have a lot of work to do to sell/donate/throw away. And we'll have a house hunting trip in a few weeks and some final trips in Europe to do. Busy, busy busy times! 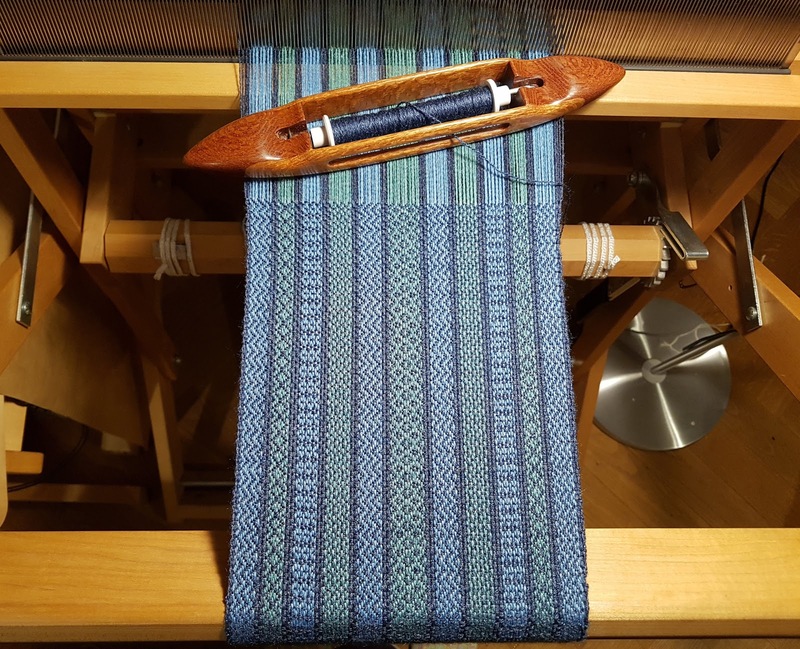 One project I am working on is to finish weaving a scarf that I had started just before I knew leaving was a real possibility. I blogged about it earlier. The scarf looks really complicated and it sort of is. First, I did not design this, so the really hard work was done for me. The scarf is from the book Next Steps in Weaving by Pattie Graver. 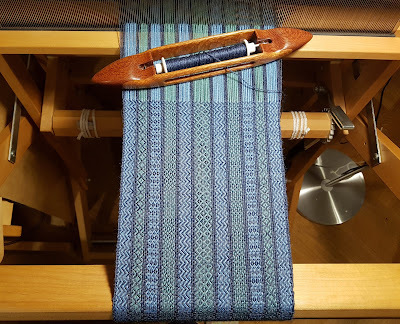 Still, this is the most complicated weaving project I've done so far. But it's like following a recipe, where the ingredients and their amounts are already determined and you just need to apply your skill at working with them. 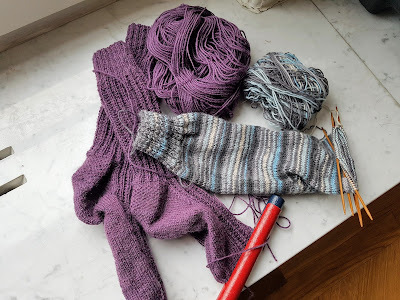 I had lots of time to knit in December because I flew from Germany to California for an in-person interview right before Christmas, and we made two trips to our place in the French alps (which we are keeping and will be our destination for most, if not all, of our vacations). First, a shout out to Wollhaus in Pasadena, California. With the evening free after my interview was over, I of course sought out a yarn shop. I was warmly greeted right away and invited to join their knit night, which I did. I immediately felt at home. This may very well be my new LYS and as a bonus, one of the owners is Austrian and can help me translate all those German knitting magazines I accumulated!